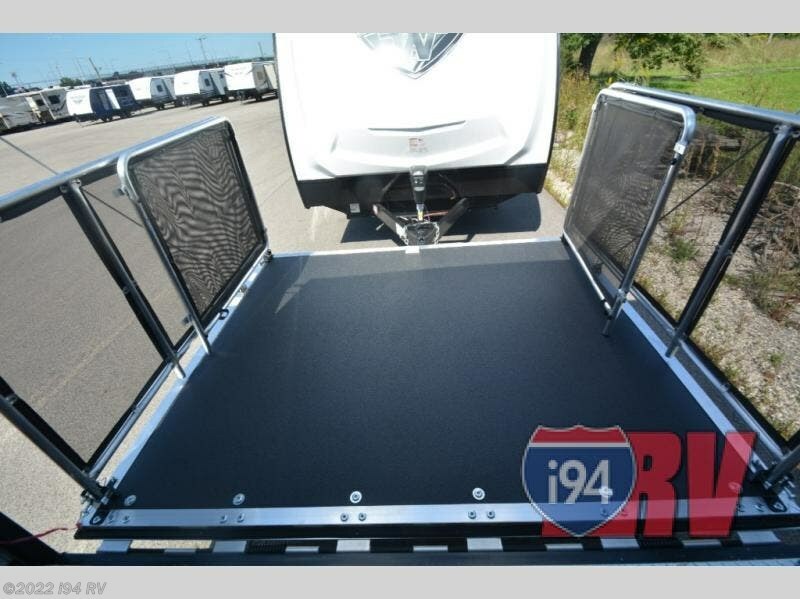 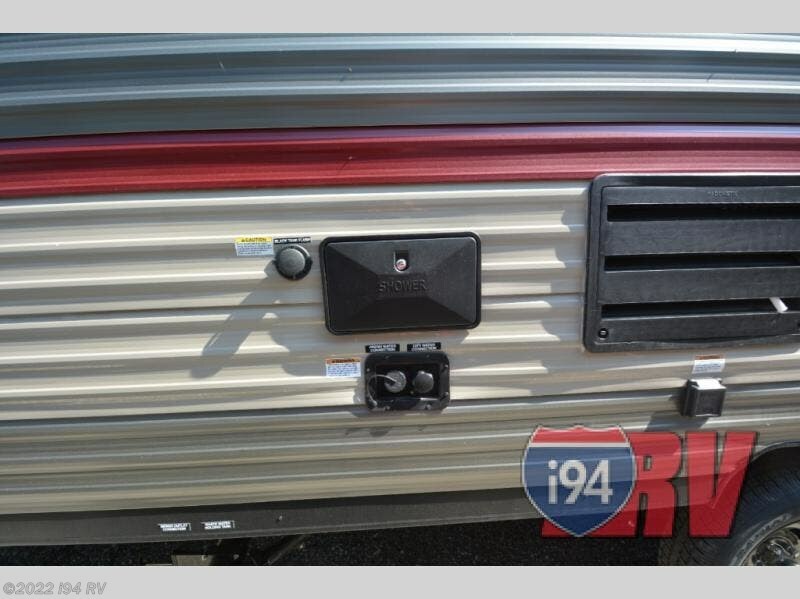 You will love the 90" x 75" rear ramp door for loading and unloading your toys and gear. 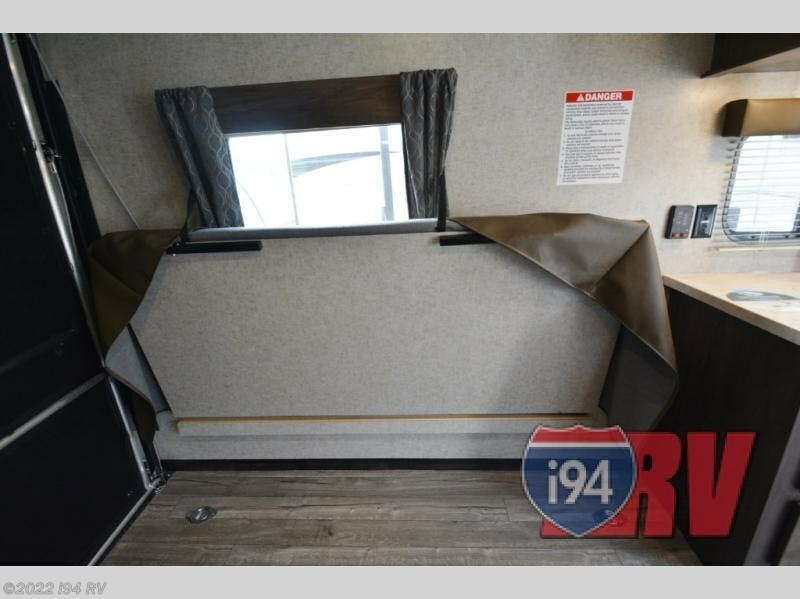 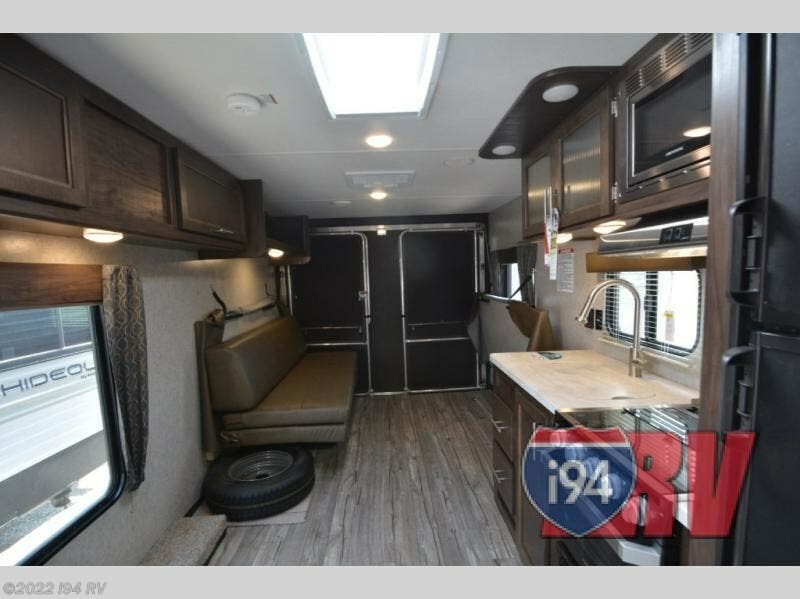 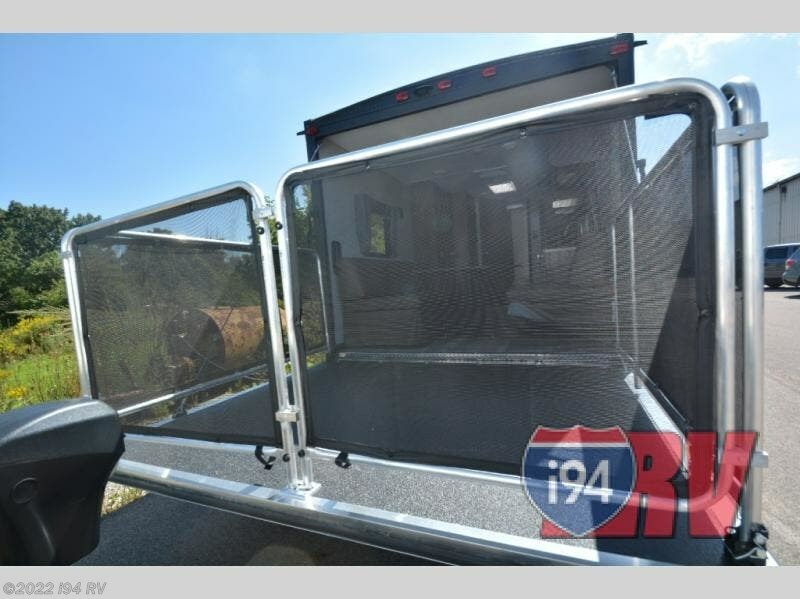 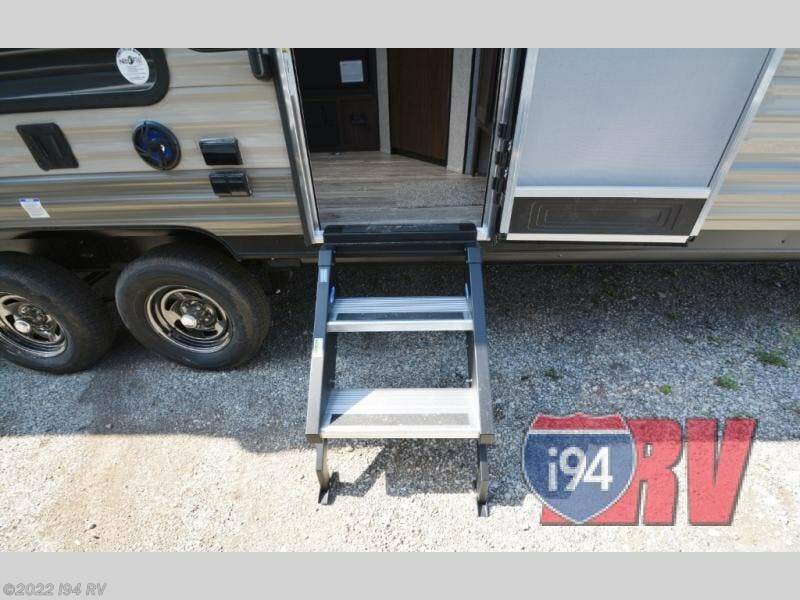 This Cherokee Grey Wolf offers up to 12' 11" of cargo space up the middle of the unit for transporting a couple of dirt bikes, kids toys, and more. 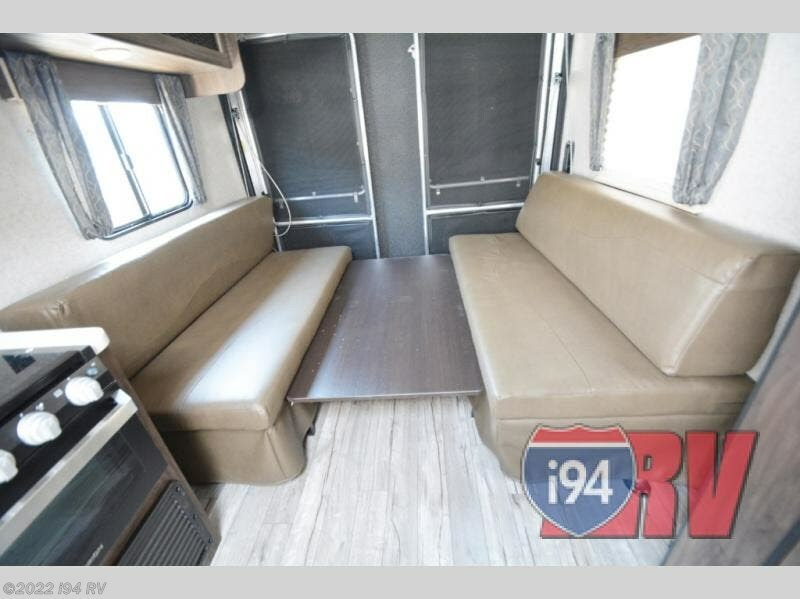 There is also space along each side where the dual fold-down sofas are for even more gear when you are moving down the road. 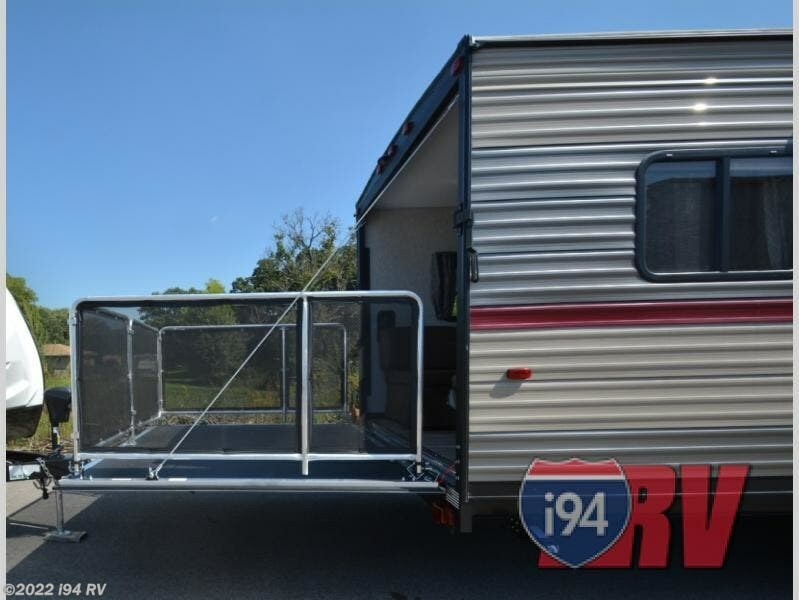 Set up camp easily creating a great dining area with the table between each fold-down sofa. 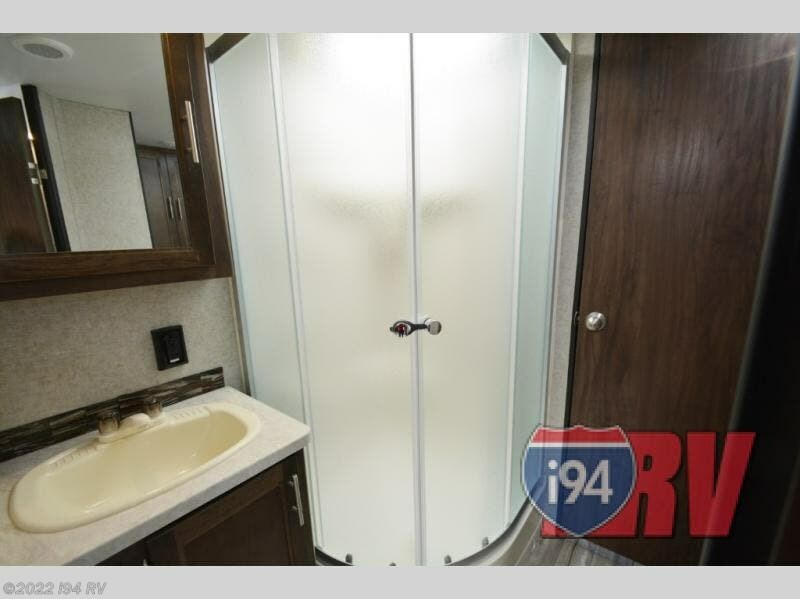 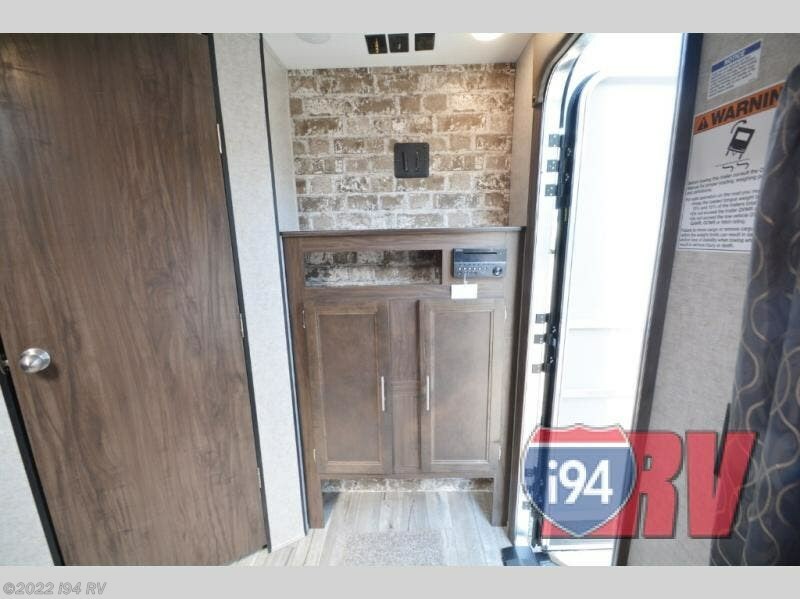 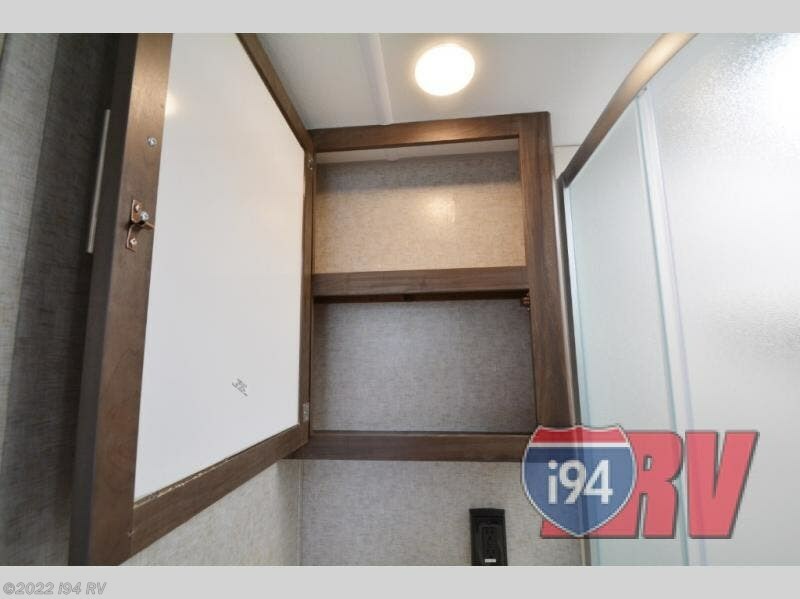 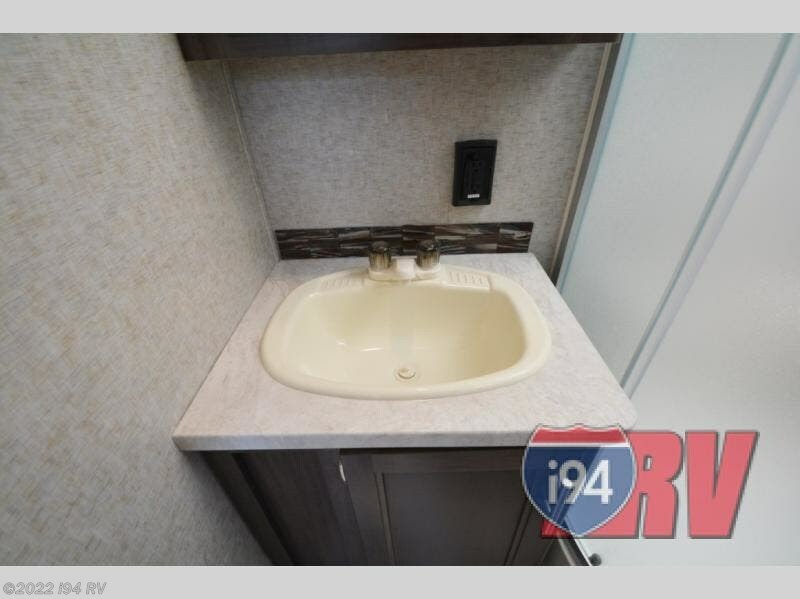 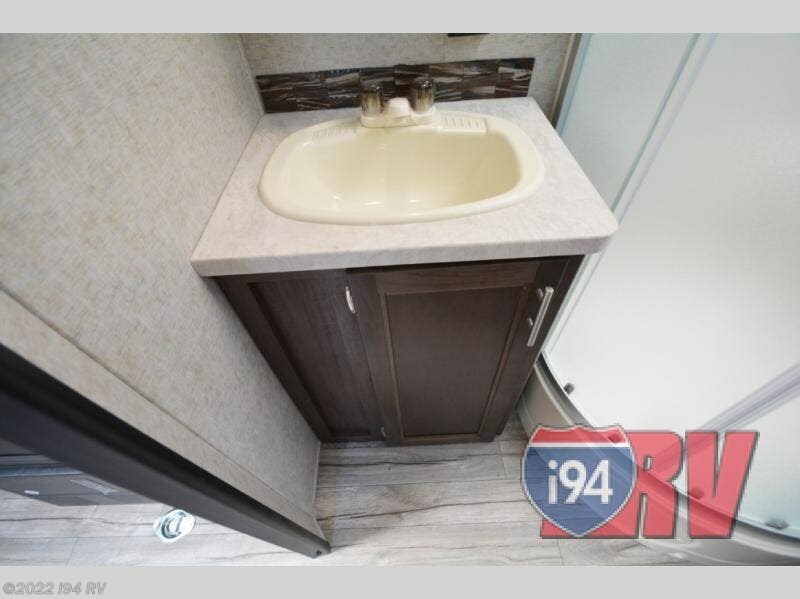 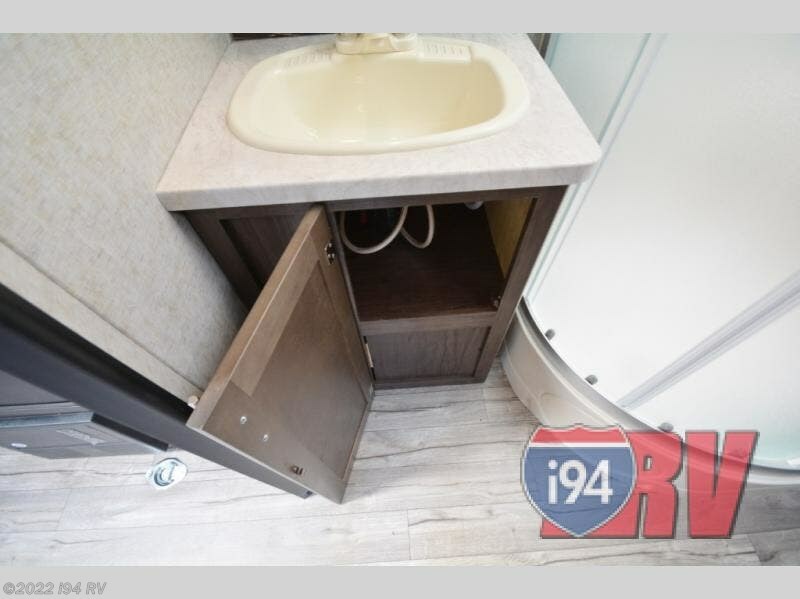 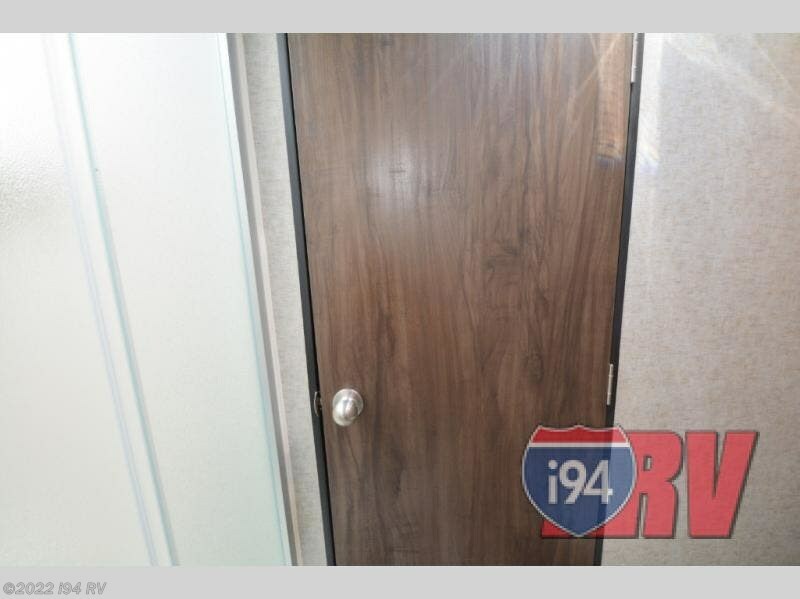 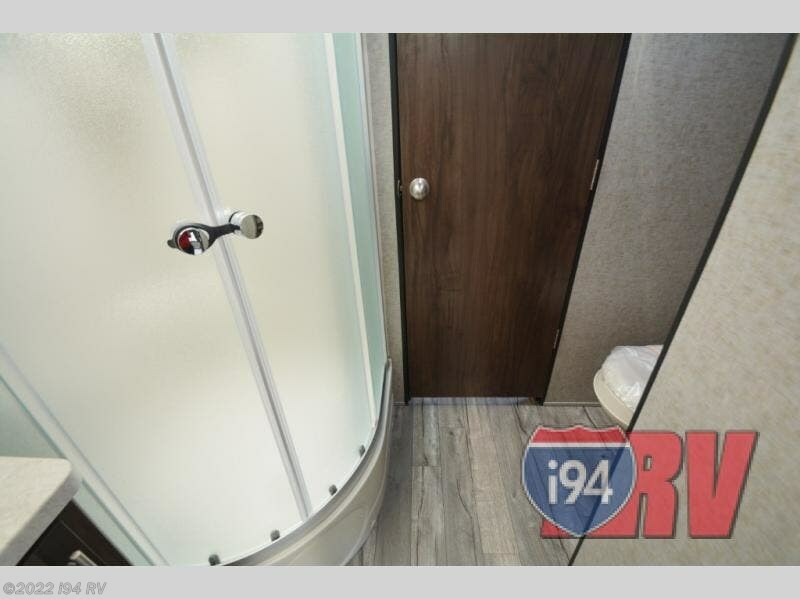 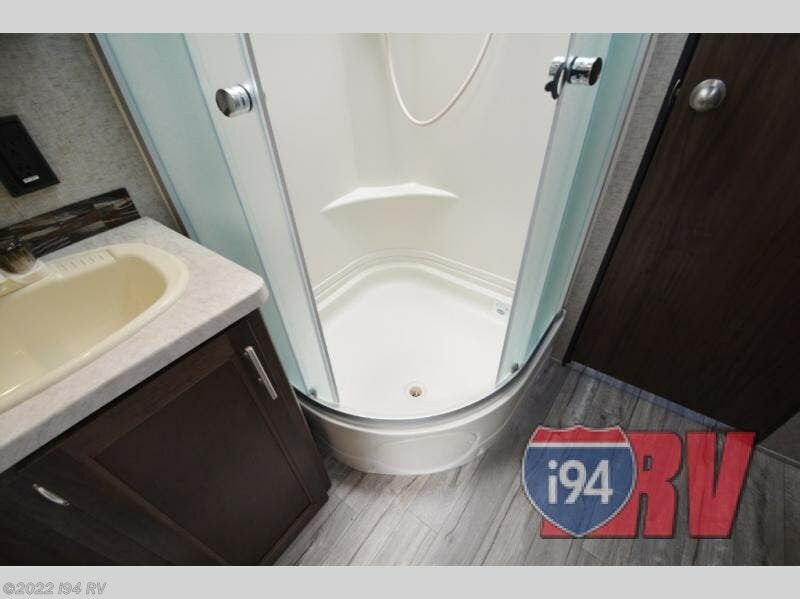 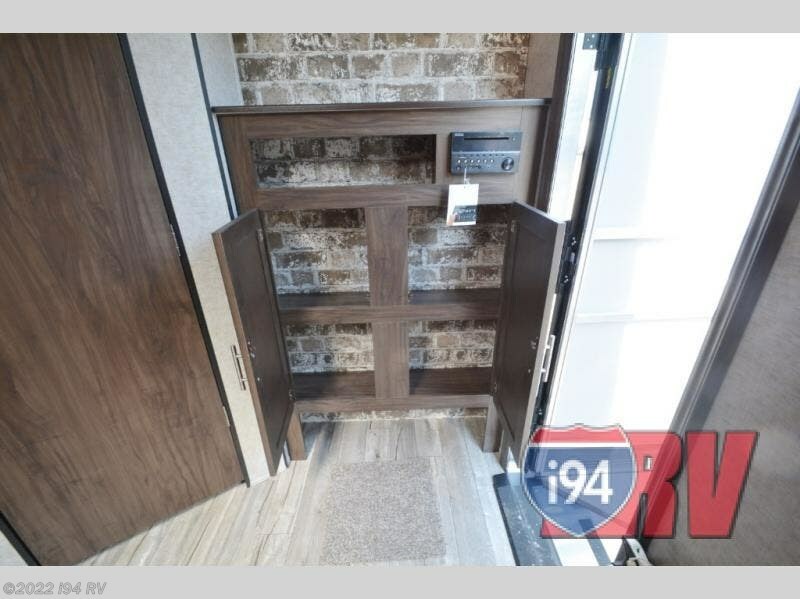 A walk-in pantry allows you to pack all the snacks and canned goods you need for your adventure, and you will appreciate the private bedroom up front for a great night's rest along with easy access into the full bath with dual entry. 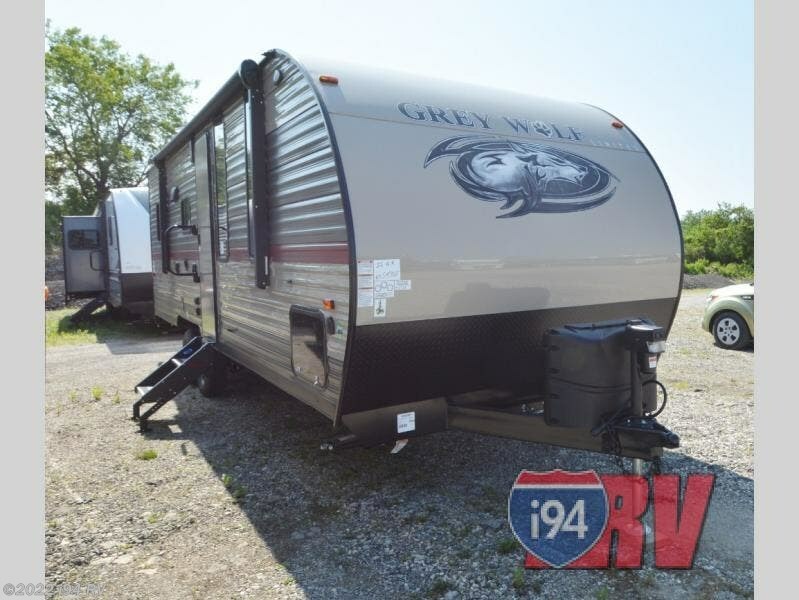 When you choose to camp with a Cherokee Grey Wolf toy hauler travel trailer you are getting a lightweight trailer which is easy to tow, as well as ample room throughout each model. 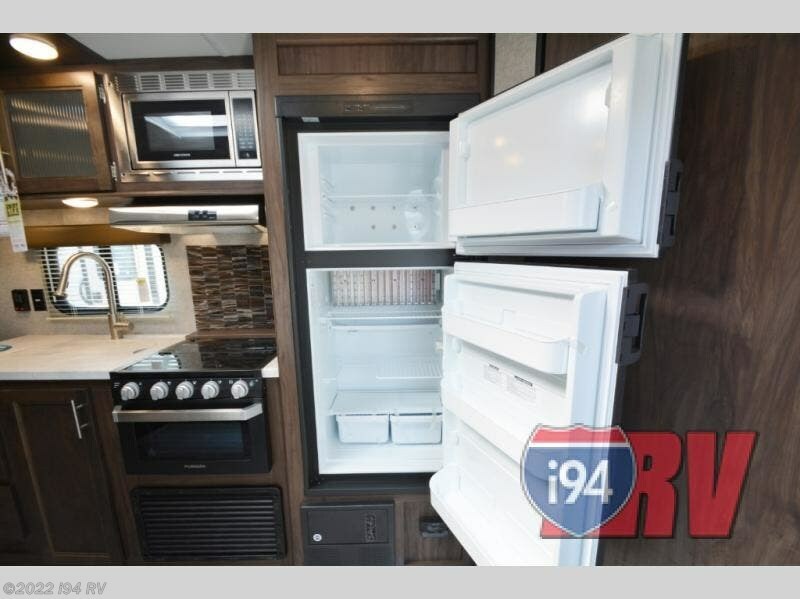 With a variety of packages to select from you are sure to find the perfect one to suit your family's needs. 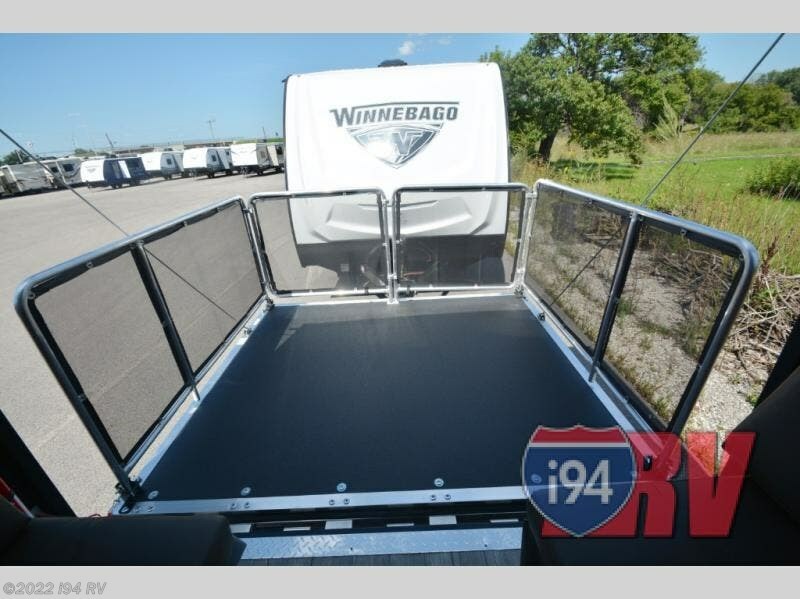 The Basecamp Package provides a large exterior folding assist handle, black tank flush, solar prep and wiring, plus more! 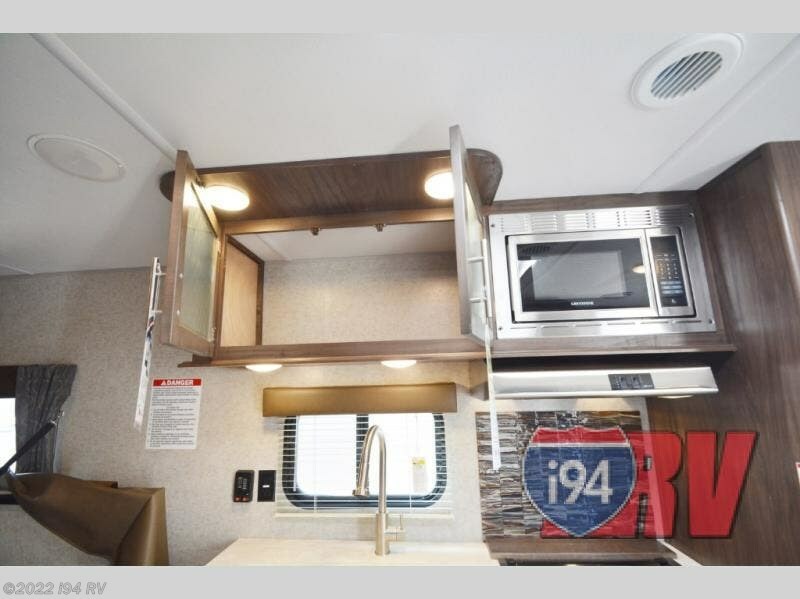 The Campfire Package provides a DVD player, a 6 gallon Gas/Electric DSI water heater, a skylight over the tub, and an oven. 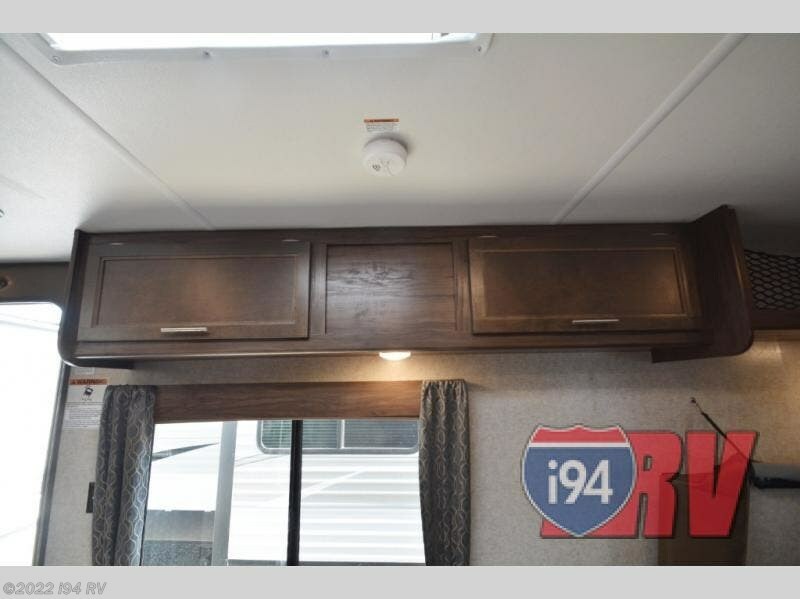 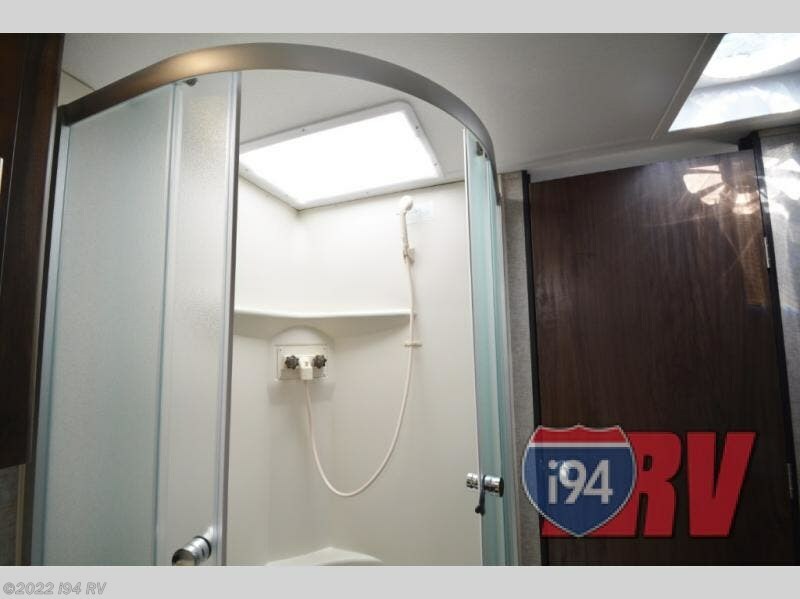 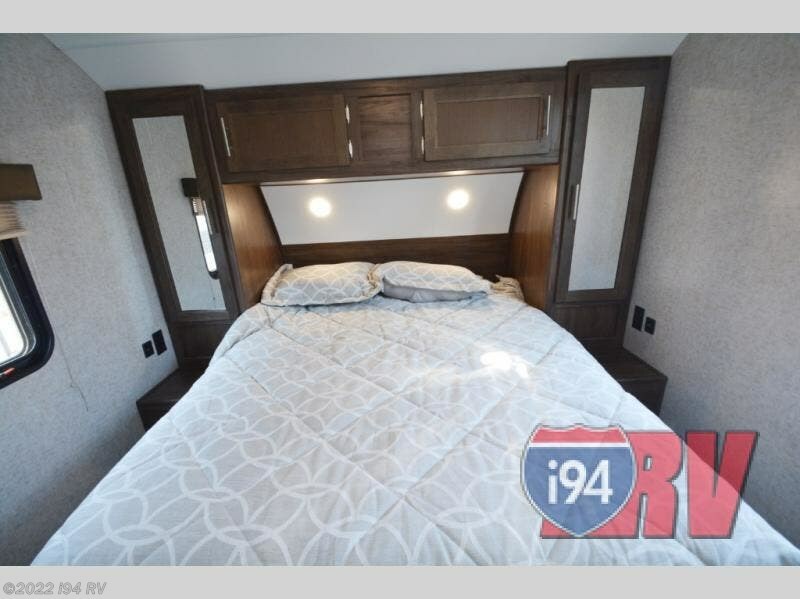 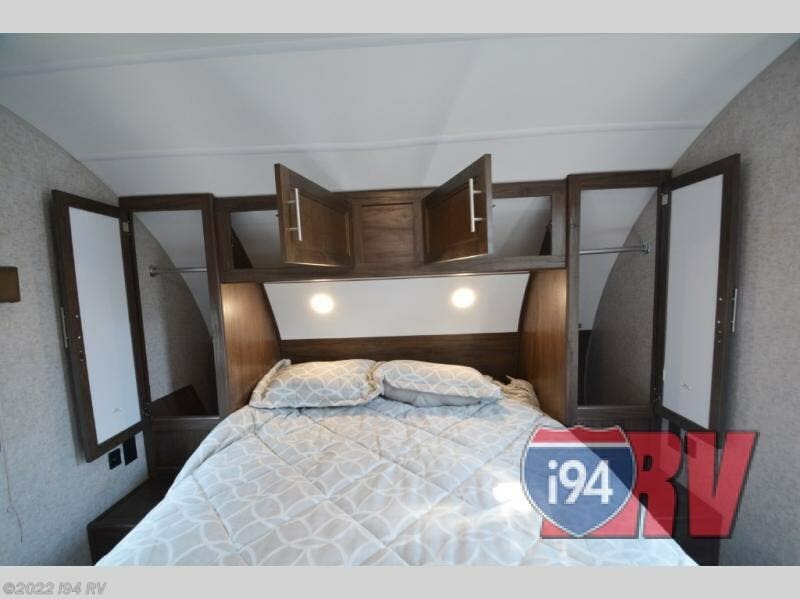 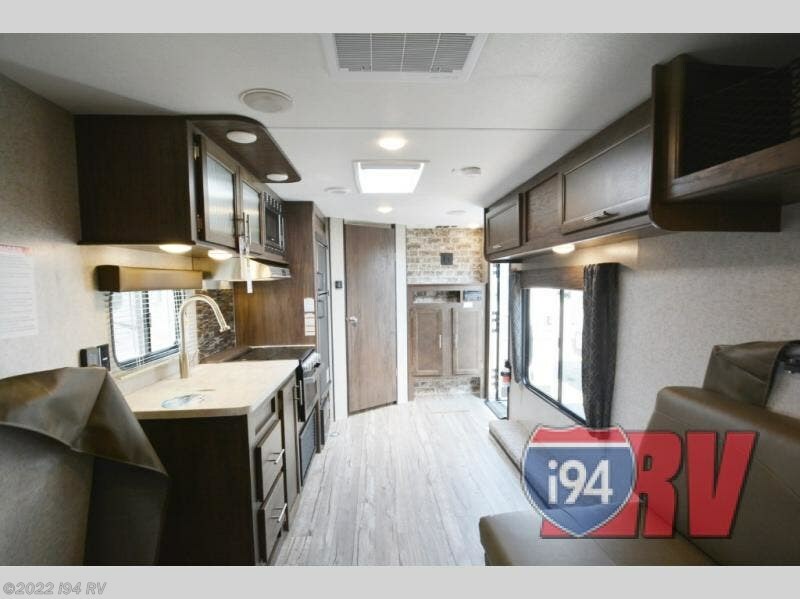 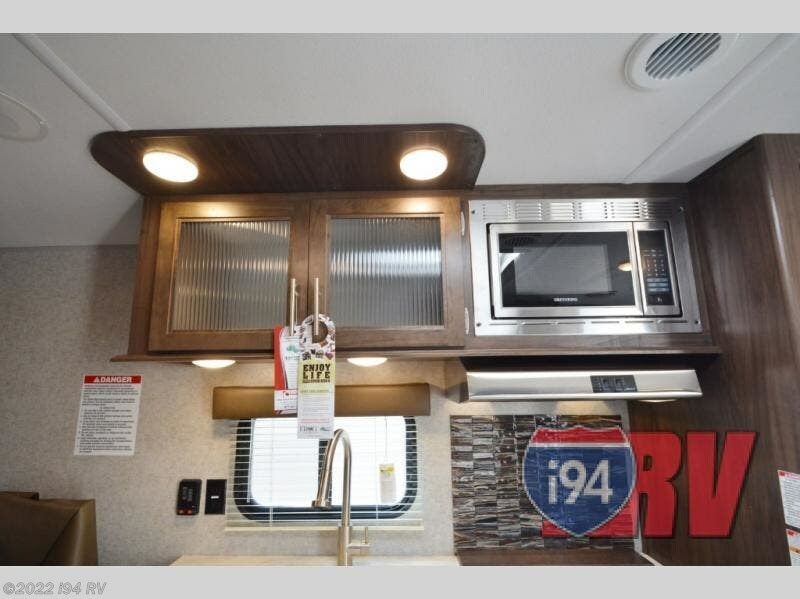 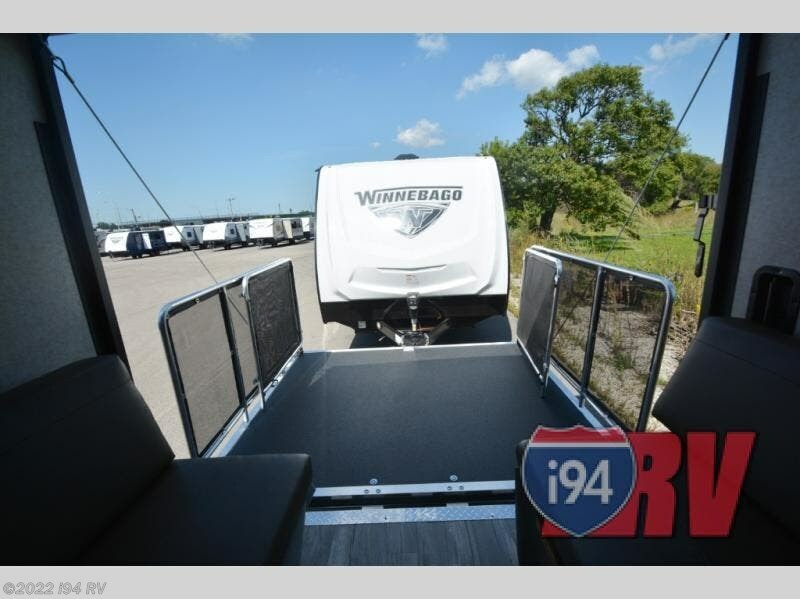 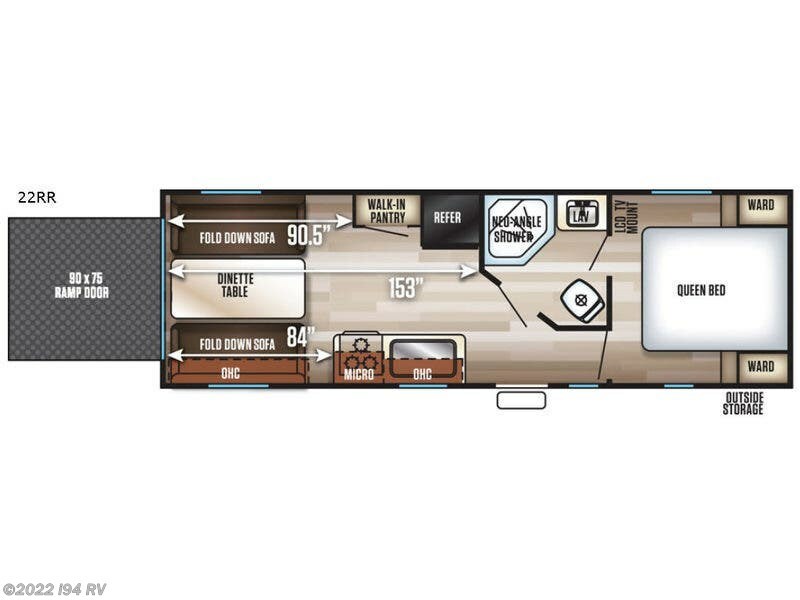 You can also choose from the optional Limited Package which upgrades the manual awning to a power awning that you can also add an LED light strip to, or add the ramp door patio system for some raised outdoor living space to enjoy. 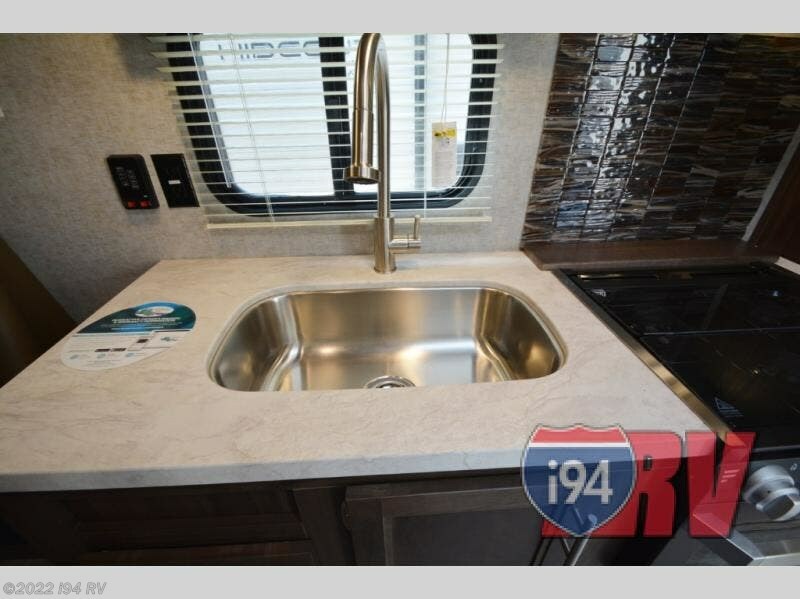 You can also choose optional high-gloss seamless countertops, an outside shower, and even upgrade to a hypoallergenic Evergreen mattress if you suffer from seasonal allergies, plus so much more! 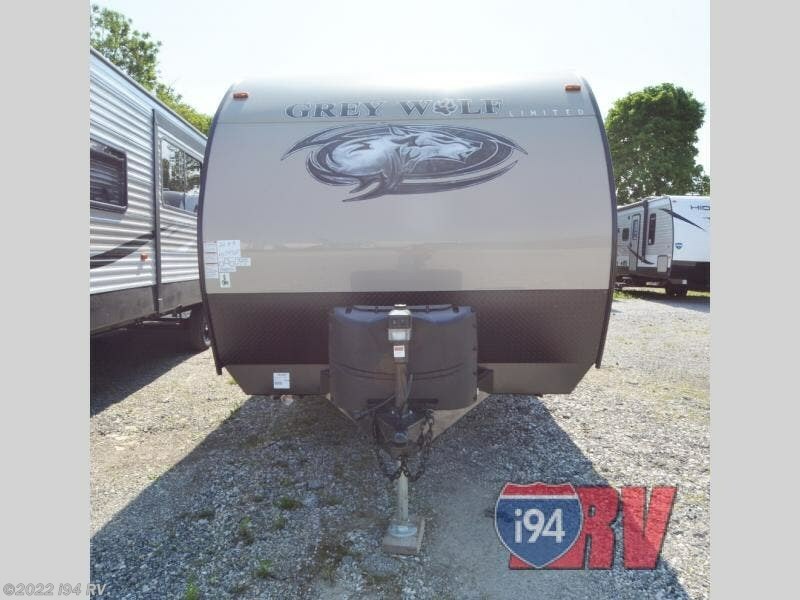 Come select your perfect Cherokee Grey Wolf model today! 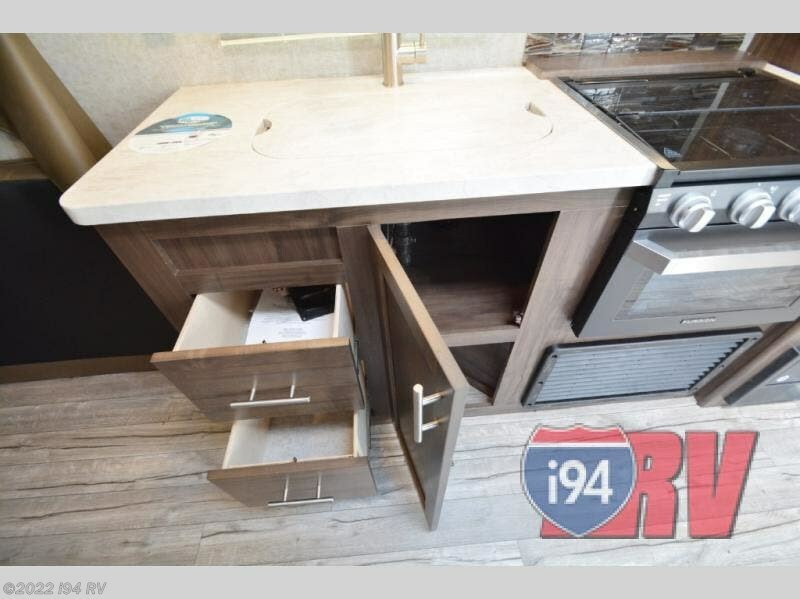 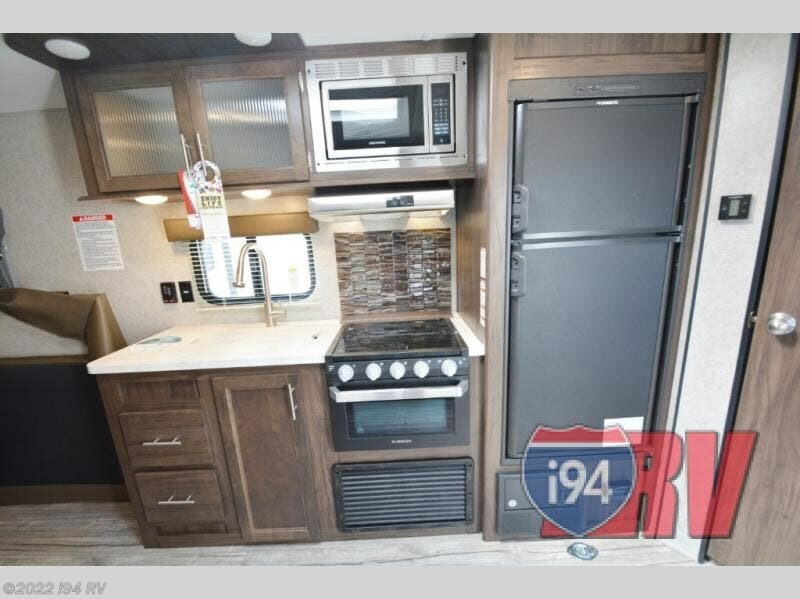 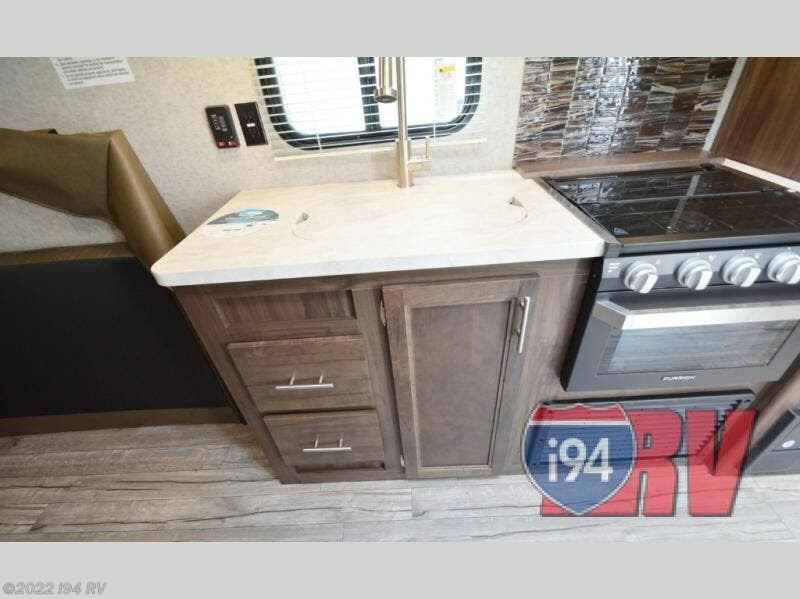 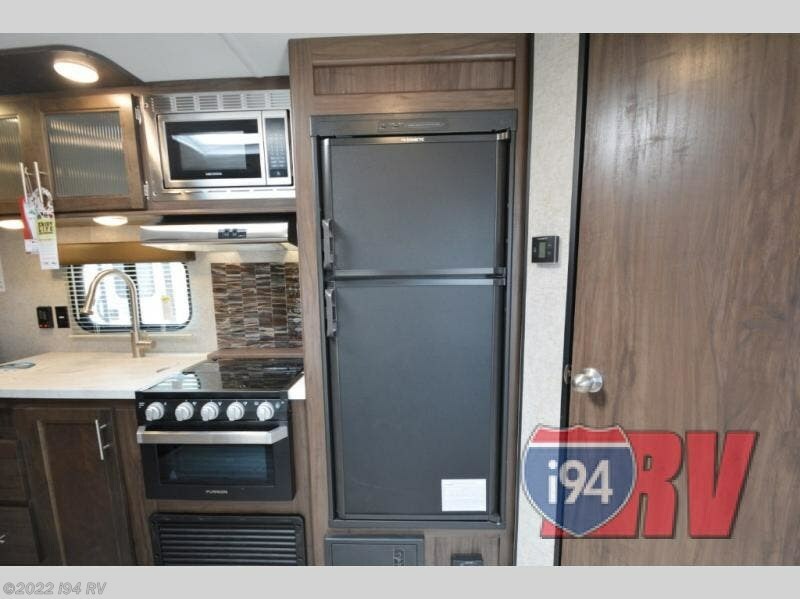 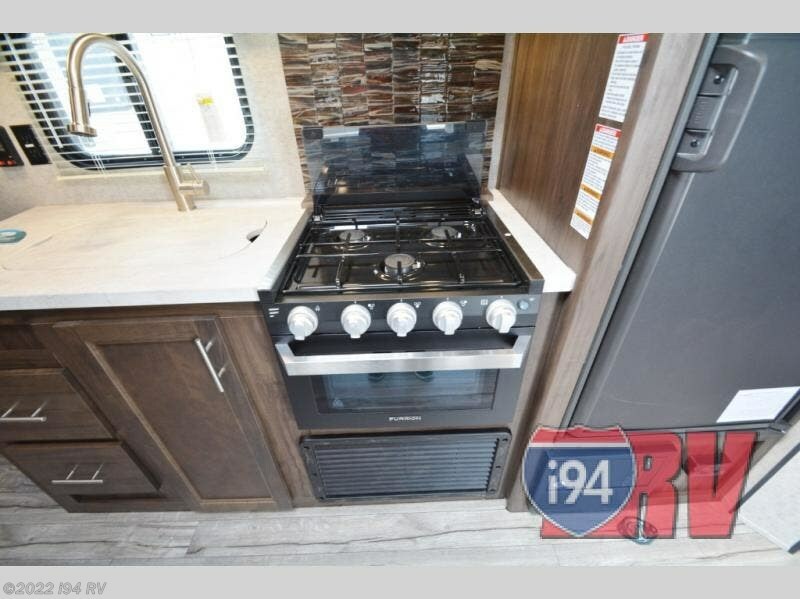 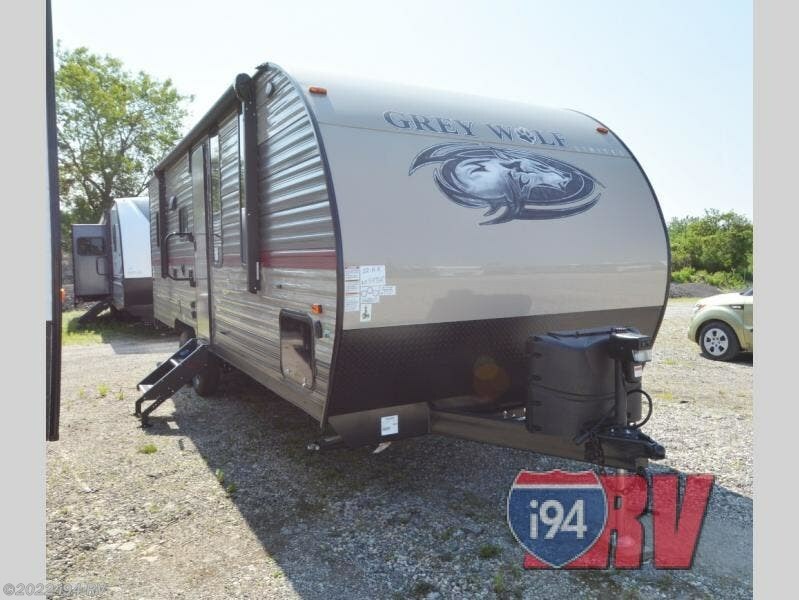 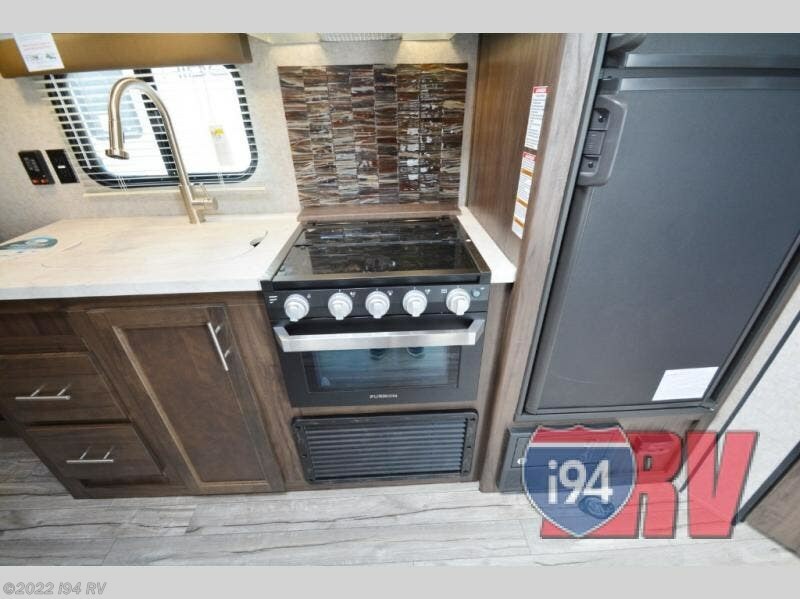 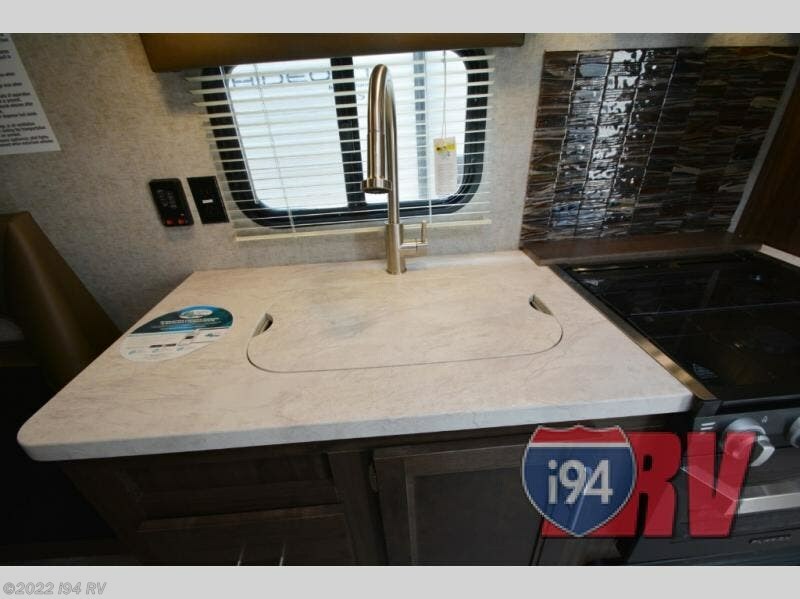 Check out Stock # 054368 - 2019 Forest River Cherokee Grey Wolf 22RR on forestriverrvsource.com!